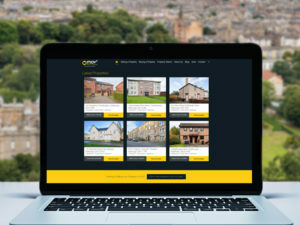 As the leading property sales company in East Central Scotland, our Local Property Market Update combines our own experience of the local property market with a round-up of the month’s property news, separating the wheat from the chaff and the fact from the fiction so that you don’t have to! What Are We Seeing Happen in your Local Property Market? Recently-released data from the Edinburgh Solicitors Property Centre (ESPC) for the period from July to September 2016 showed that the number of properties being sold in East Central Scotland has decreased by 10.7% when compared to the same period in 2015. 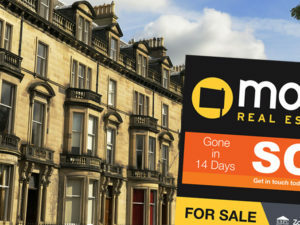 In that same period, the number of properties coming onto the market in East Central Scotland also decreased by 9.4% in comparison with the same period in 2015, demonstrating that the drop in property sales is largely in line with the drop in supply of properties coming to the market. 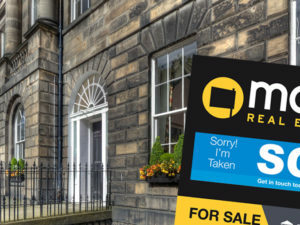 Since the start of the year, our own experience has been that the number of property sales in Edinburgh and the Lothians has continuously outstripped the number of properties coming onto the market. The relative lack of new properties coming to them market is of course great news for property sellers. With supply relatively scarce and demand remaining high, it’s increasingly a seller’s market at the moment. This is evidenced by the reduction in the average selling time for property across East Central Scotland, as reported by the ESPC for the period of July to September 2016, to 24 days compared with 36 days in the same period in 2015. This represents a reduction in property selling times of around 35%. Three months on from the EU Referendum, buyer demand continues to be strong and property prices across East Central Scotland are continuing to rise year-on-year. The vast majority of properties in East Central Scotland are currently marketed at ‘Offers Over’, with the ESPC reporting that the average selling price in the period from July to September 2016 increased by 4.7% when compared to the same period in 2016. This equates to an increase from £211,935 to £221,930. The Office for National Statistics recently reported that house prices in Scotland were rising at a rate of approximately 4% per annum, prompting some media reports that Scotland was lagging behind the rest of the UK. It should of course be noted that price rises in the South East of England, in particular, have somewhat distorted UK averages for the past few years. In our opinion at MOV8, spectacular house price increases are not good for the long term health of the property market nor the average property seller or buyer and a 4% average increase in value is absolutely not to be sniffed at. At MOV8, we have seen the same trend in buyer demand. During the period from July to September 2016, the percentage of sellers achieving or exceeding their Home Report valuation increased to 71.7% of sellers, up from 62.4%. This is largely in line with the average of 68% reported by the ESPC for property sales across East Central Scotland. During the same period, the average percentage of the Home Report valuation achieved was 101.4%. Surveyors are naturally cautious of run-away property valuations fuelling house prices and, with house price growth arguably being driven by a relative lack of properties coming to the market, it is not surprising that Home Report valuations are lagging-behind real-world sales prices. The percentage of Home Report achieved does vary by geographic area and property type, with properties in sought-after areas or in low supply, such as family homes, typically achieving the highest percentages over the Home Report. What does this mean if you are thinking of selling a property? There really has not been a better time in years to consider putting your property on the market, with decreasing property sales times, interest rates held again at a historic, new low of 0.25%, mortgage products still readily available and increasing property prices due to high buyer demand. The Bank of England’s Monetary Policy Committee didn’t actually meet in October 2016, with the once-monthly meetings now happening only eight times a year. 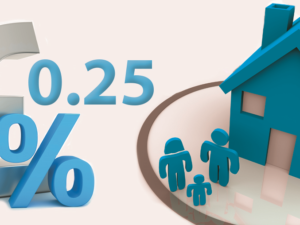 This means that interest rates remain at the same level as they were, with the ‘Base Rate’ sticking at 0.25% for another month. There has been increasing Press speculation that Mark Carney, the Governor of the Bank of England, will resign from his role and, if that is the case, this might signal a change of direction. We’ll of course keep you fully informed if that happens. Are You Thinking of Selling Your Property in 2016? Please Speak to Us! If you are thinking about selling your property, please do get in touch with us by calling 0345 646 0208 (Option 1) or email [email protected] to organise a free property valuation or to have a preliminary chat with us about the selling process in Scotland. Our valuers can help you with suggestions that will maximising the appeal of your property to buyers and are happy to discuss any concerns that you have about securing your next home. For more tips about preparing for a property valuation, you can also check out our YouTube video, Getting the Best Possible Property Valuation. What Are Home Reports in Scotland and Do I Need One?